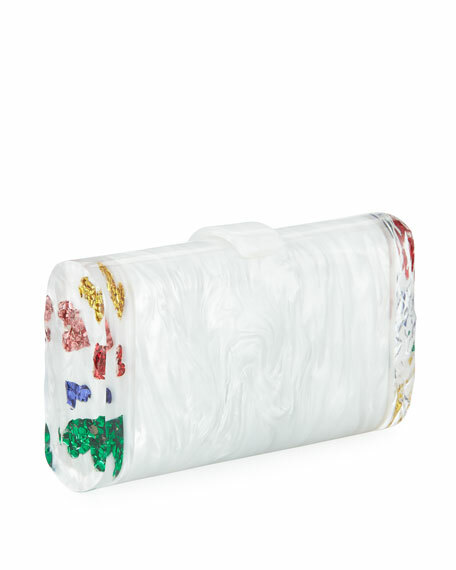 Edie Parker hand poured confetti acrylic clutch bag. Signature "Ice" and rainbow hearts on sides. Interior features vanity mirror with logo etching. 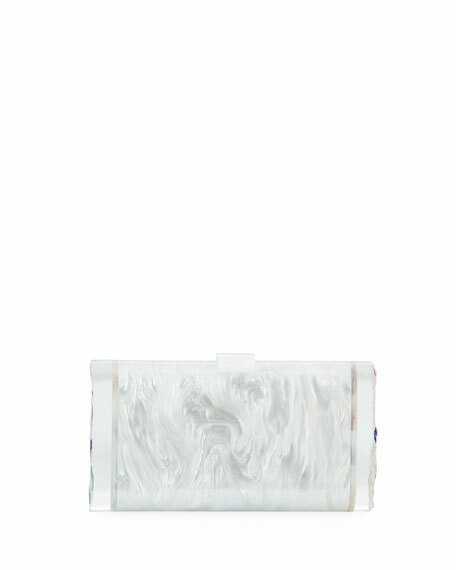 Fits a smartphone, including an Apple iPhone® 8+/X. 4.5"H x 8.5"W x 1.8"D.
"Lara" is made in USA. 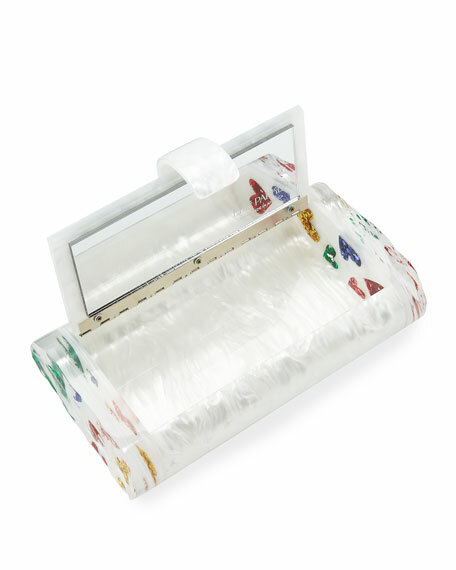 For in-store inquiries, use sku #2561284.